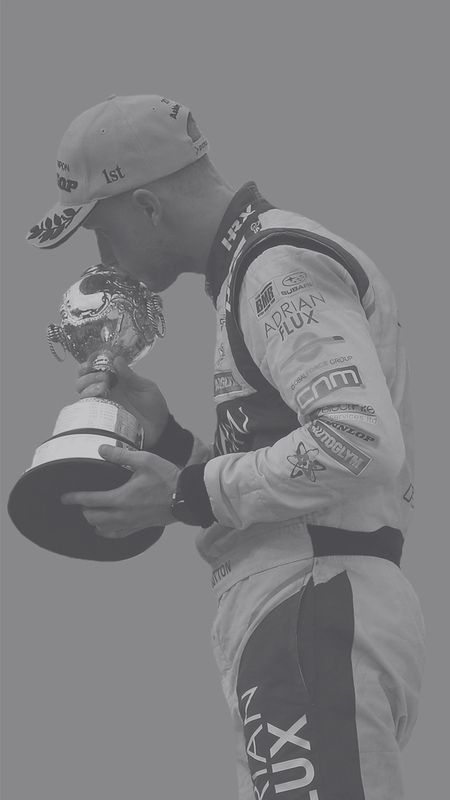 Back to our look through the exploits of 2017’s record 13 different Dunlop MSA British Touring Car Championship race winners, and next on the list is incumbent champ Ash Sutton. As in 2016, Subaru’s Levorg sprang into life in Cheshire at Oulton Park. Andrew Jordan in the Pirtek-backed BMW 125i M Sport had taken the initiative with victory in the opener, and as a result he carried the full complement of success ballast into the second bout of the day. Typically, the BMW fired away from the line strongly, with Jordan maintaining that initial advantage but it wasn’t long before Sutton’s Subaru loomed large in his mirrors. On lap two, the Levorg drew alongside the 1 Series into the Island Hairpin and Sutton managed to get the move done at Hislops. It was cork out of the bottle stuff from there as he scampered away from the chasing pack, leaving Jordan to fend off the rest with maximum weight on-board. Adrian Flux Subaru Racing’s maiden win in 2017 was made to look serene, despite it being at the time only Sutton’s second BTCC victory. “That couldn’t have gone any better!” he said post-race. “After seeing the performance of the soft tyres in race one, I didn’t feel too confident, especially with an extra 57kg having been thrown at me but I got a great start and then the pace was just in the car. I had to get away as quickly as I could because we all know Rob Collard’s a charger and he was going to be coming after me, but I made the break by Andrew [Jordan] just in time. After Oulton came Croft, the scene of Sutton’s maiden victory in the championship in 2016. He goes well in North Yorkshire, that much is now known. He notched pole position by some half-a-second, following a curtailed qualifying session, and converted to score victory in race one. It was Sutton’s exemplary defensive drive that caught the eye as he and experienced campaigner, and indeed double champion, Colin Turkington duelled for top honours for much of the contest. The duo were rarely separated by more than a couple of tenths of a second and despite the Team BMW racer’s best efforts, with several attempts on Sutton’s lead, the Subaru man prevailed. Roles were reversed in the final round from Croft, however, providing in two rounds a tantalising little precursor to what we’d see unfold in the battle for the title. A stunning pair of victories at Snetterton was next on the hit list for Sutton in 2017, bringing his overall tally for the season to four. The two drives were truly imperious, including a fight from third on the grid to top step in the opener and a comprehensive lights-to-flag performance in the second race of the day, despite the 75kgs of ballast bolted to the Subaru. 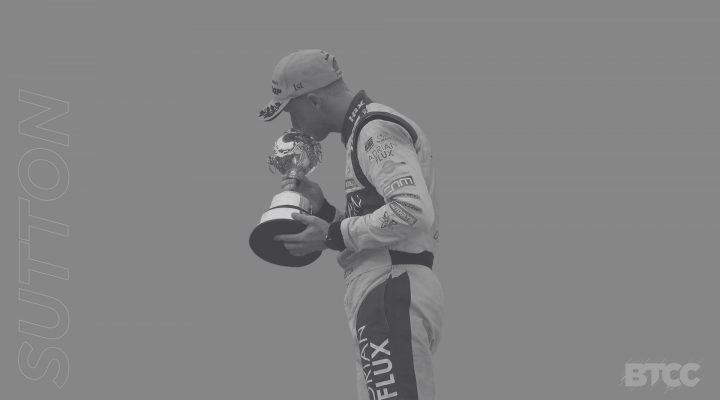 Truer words would not be spoken – consistency is key in the BTCC and Sutton knew that at just beyond the half way stage of the campaign things would only get more difficult from there on in if he was to go on and secure the biggest prize in British motorsport. A strong weekend followed that win-double, at Knockhill in Scotland with yet another victory, plus one more to add to the tally at Rockingham shortly thereafter. Controversy and a bump in the road looked to have thrown a spanner in the works for his title tilt at Silverstone, however. The race for the crown took several twists and turns after a sensational penultimate race weekend of the season, leaving a head-to-head between Sutton and Turkington heading into the finale at Brands Hatch. The drama ensued when, battling for the final podium position, Sutton nosed down the inside of Turkington’s BMW at Luffield with just a lap to go. The latter couldn’t hang on and the standings leader looked to have sealed the move that would push himself further beyond the grasp of the Ulsterman in the Drivers’ running. However, after the chequered flag fell, it emerged that the TOCA stewards were analysing the incident for any potential wrongdoing. Subsequently, Sutton was penalised for the move, handing the podium place to Turkington and in a double-whammy, as it was the young star’s third penalty strike of the campaign, he was forced into starting the final round in Northamptonshire from the very back of the grid. Trouble for Turkington in that final round, though, proved something of a reprieve for Sutton – who battled back to 11th with the bit between his teeth. This meant that despite the controversy, Sutton was able to extend his lead in the standings to ten points with 67 still to play for at Brands Hatch, and we all know what happened there by now. 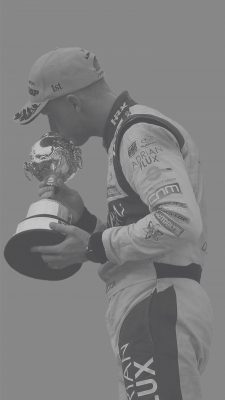 Sutton’s six wins and nine further podium finishes saw him over the line in fine style to seal a first Dunlop MSA British Touring Car Championship crown in just his second campaign – the youngest man to become champion since way back in 1966.